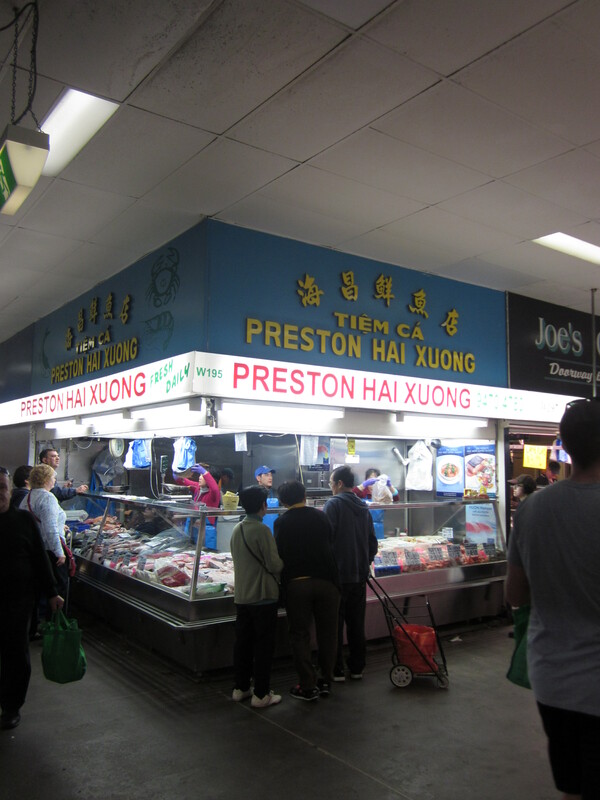 I can’t believe I haven’t thought to bring my camera along before, but I thought it was about time to give some love to one of my favourite places in Melbourne; the Preston Market! Now, I visit every week with my husband, to do our grocery shopping. While I still have to visit supermarkets for some staples like milk, dog food, some toiletries, those sorts of things, I can’t imagine ever going back to buying all of my fruit and veggies and meat at a supermarket anymore! 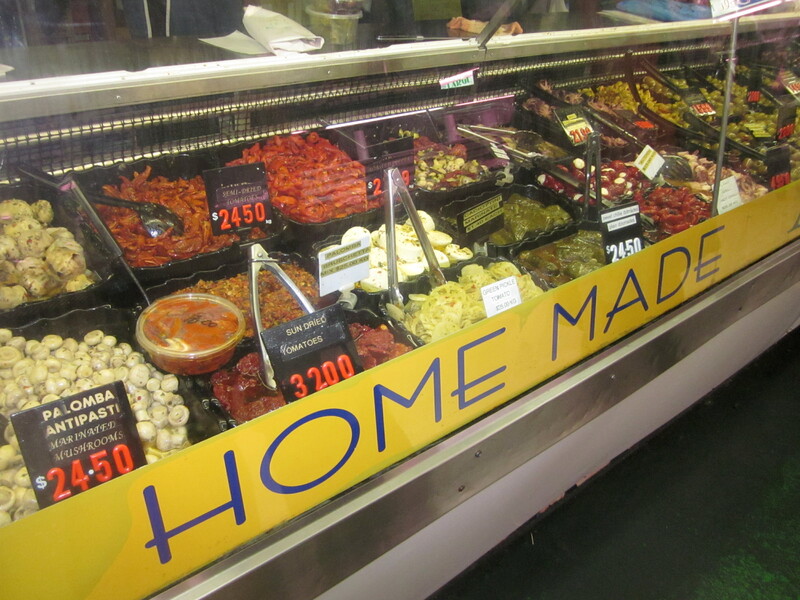 The quality is unbelievably better, as are the prices, not to mention the experience of the market atmosphere itself. 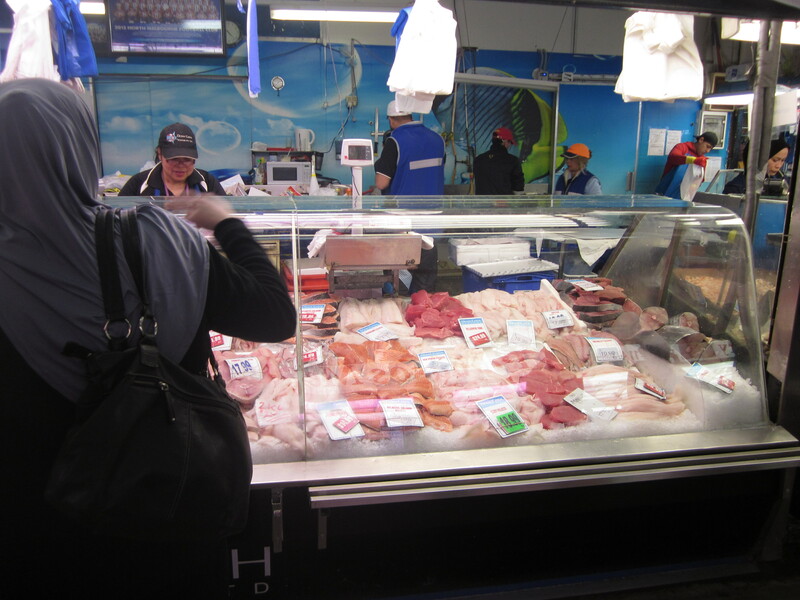 I’m a huge market lover, and always make a point on my travels to visit as many as possible – I’m pretty lucky that I can get that same experience so close to home, too! I absolutely LOVE the deli section!!! 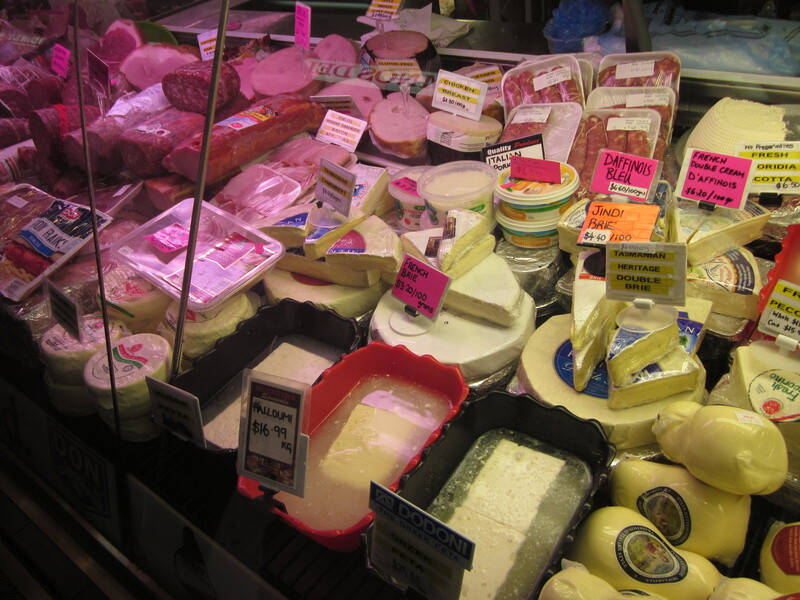 Tasty cold cuts, more cheeses than you can poke a stick at, and the incredible selection of antipasti… those are the tastes of my childhood! 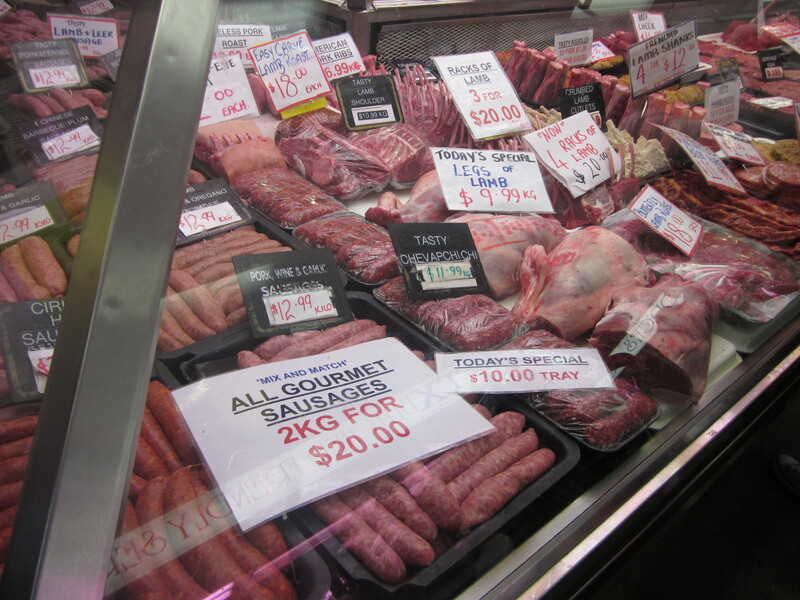 The meat section is a carnivore’s dream. You can get anything and everything there, up to and including internal organs, pigs trotters, tripe, the absolute works! I like to be organised and write up my grocery list before I get there, but sometimes the best way to go about it is to find an incredible cut of meat and plan the rest of the meal around it! The seafood is pretty fantastic too – my Nonno Giovanni (dad’s dad) hosts an enormous, traditional Italian seafood feast each year on Christmas eve – I’m talking lobster, calamari, prawns, the whole shebang. Anyway, he gets his seafood here every year, placing his order ahead of time, so he can roll in the morning of the feast to collect his fresh bounty. 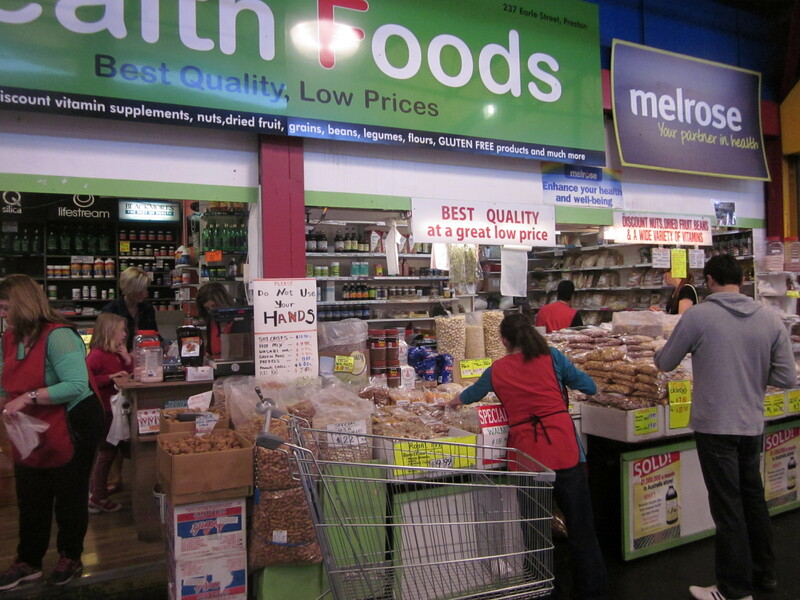 One of the not-so-traditional places in the market that I’m a big fan of is the health food store – I visit this place every week to stock up on the most fantastic organic oats I’ve ever eaten, as well as chia seeds and cacao nibs. They have a truly fantastic range of other supplies that can often be hard to find and/or quite expensive – quinoa, coconut sugar, dried figs, and almost every type of flour you can think of. AND the prices are top notch! But my favourite part of the market? The fact that it’s a place to meet and eat and relax and enjoy life. 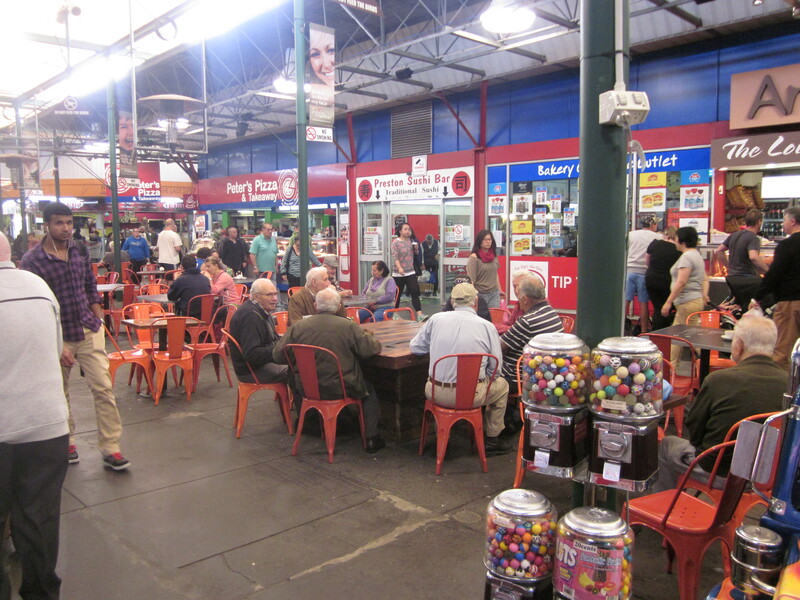 This table with the 6 old guys literally stopped me in my tracks and made me smile so much – you see it in markets around the world, the older generation sitting around and enjoying some local food together, catching up on the good old days, speaking their own languages, and completely oblivious to everything else going on around them. I used to love going here with my mother when I was young. 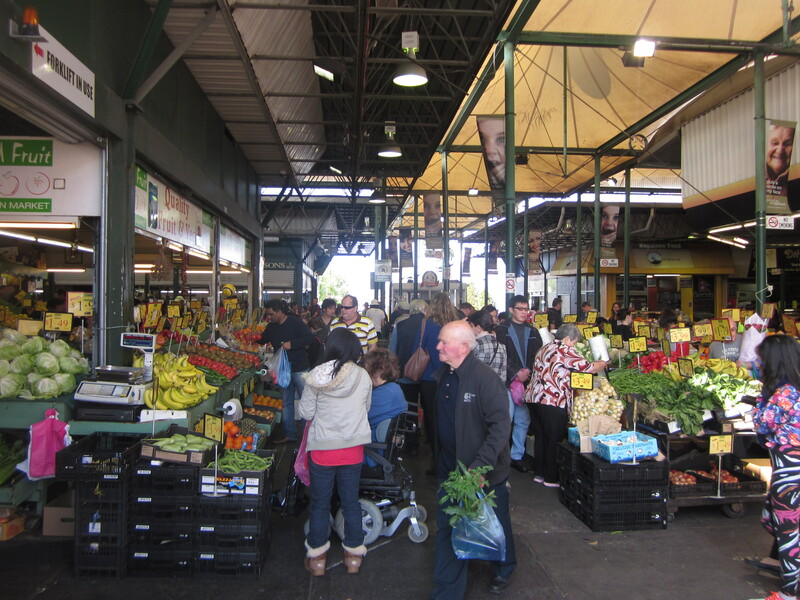 I loved looking at all the interesting Asian vegetables and eating the cheap pizza! Ohh that’s awesome!! Yes, that pizza… Still tastes so good! Pingback: Cook with: CHORIZO – 1. prawn & chorizo pasta and 2. tofu & chorizo baked eggs | Eat. Travel. Blog.